Things are going wrong – very wrong – for Luz. The second Mexican gangster she’s been mistress to married her. El Principe, one of the most powerful, vicious crime lords in Tijuana, Mexico, or Rolando, as Luz calls him, has made Luz a captive, and has surrounded her with people who guard her and watch as he savagely punishes her whenever he feels like it, which is often. Luz, unknown to Rolando, has a young child she has left in California with her sister Rosario until Luz can afford to support the child. Little Isabel was one year old when Luz left her. Rosario is the only mother she has known. But Luz loves her child, and now she has decided to leave Rosario for good, once again, and take Isabel to make her a good life. This is her second attempt to leave Rolando, and she suffered greatly the first time, when Rolando’s housekeeper Maria and his house guard, El Toro, stopped her escape. And this time, she has just shot and killed Maria and El Toro on her way out the door. As Luz flees to California to save her life and get back to her child, she knows Rolando and his minions are right behind her: she also stole all the money in Rolando’s vault and his beloved Colt 45. And Luz is flying by the seat of her pants: she has no plan, no help, just lots of money and a psychopathic gang lord with connections everywhere trying to kill her. As different characters join Luz to assist her out of Mexico, they become more than hombres, especially Malone, who helps her out, and keeps her 2 feet ahead of Rolando’s best assassin, Jeronimo, or El Apache. Rolando knows that Jeronimo will find Luz, for Rolando is holding Jeronimo’s own wife and children as hostages. If El Apache fails to find and capture Luz, NOW, and return her to Rolando to kill, Rolando will kill El Apache’s family. As Lange depicts characters that thrill, characters that kill, characters that are all human in their specific frailties, inside a plot that filters excitement like coffee grinds into a pot, the heat and suspense of the surprise ending detonates and throws us out the door. Angel Baby has it all. 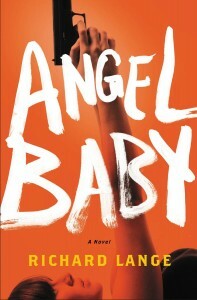 Angel Baby: A Novel is available for pre-order on Amazon.com. here? I’d really love to be a part of group where I can get feedback from other experienced individuals that share the same interest. If you have any suggestions, please let me know. Many thanks!